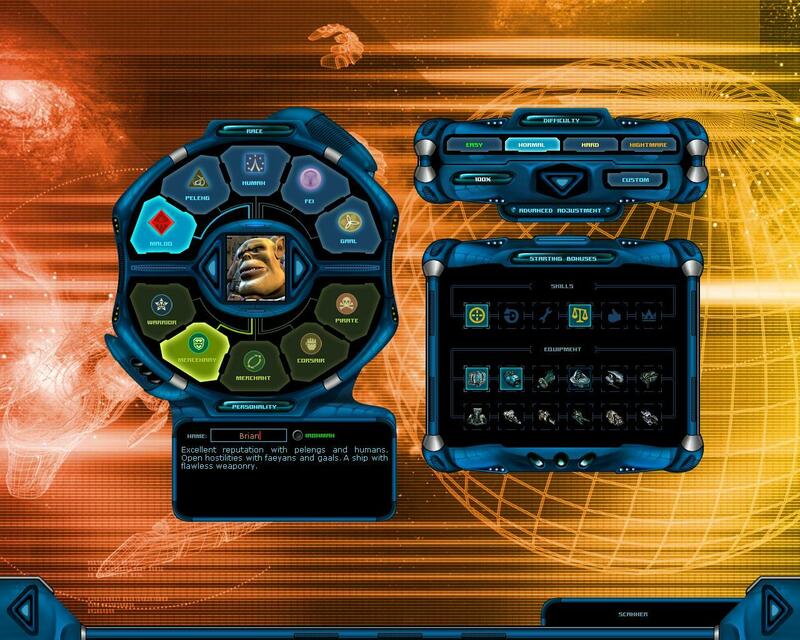 Back in the mid 2000s, Space Rangers 2: Dominators — created by Russian-based Elemental Games — surprised many gamers by not only existing at all — I mean, space games were about as close to death at that point as you could get — but also by taking the traditional formula for open space games and turning it on its ear. 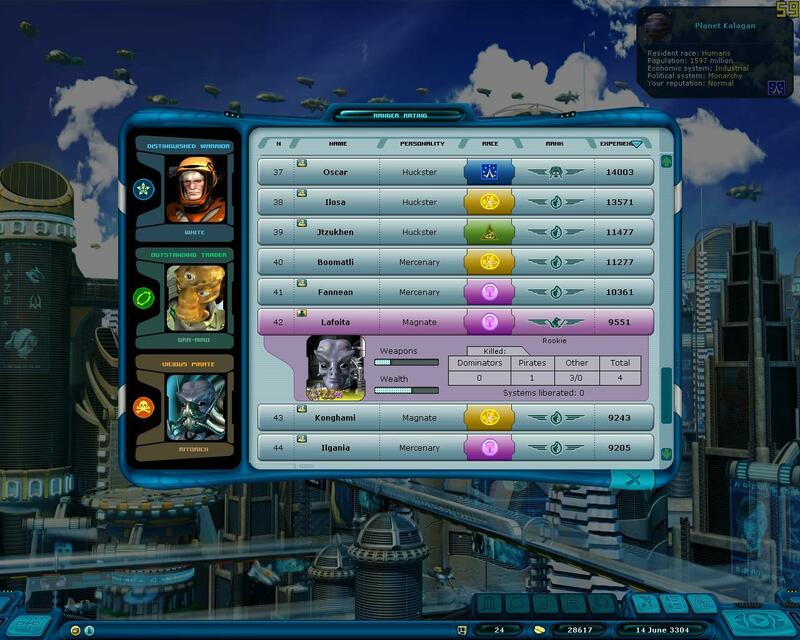 Using a turn-based, top-down approach to much of its gameplay, mixing in several types of minigames and typically being awesome, Space Rangers 2 found its way to many a gamer’s hard drive. 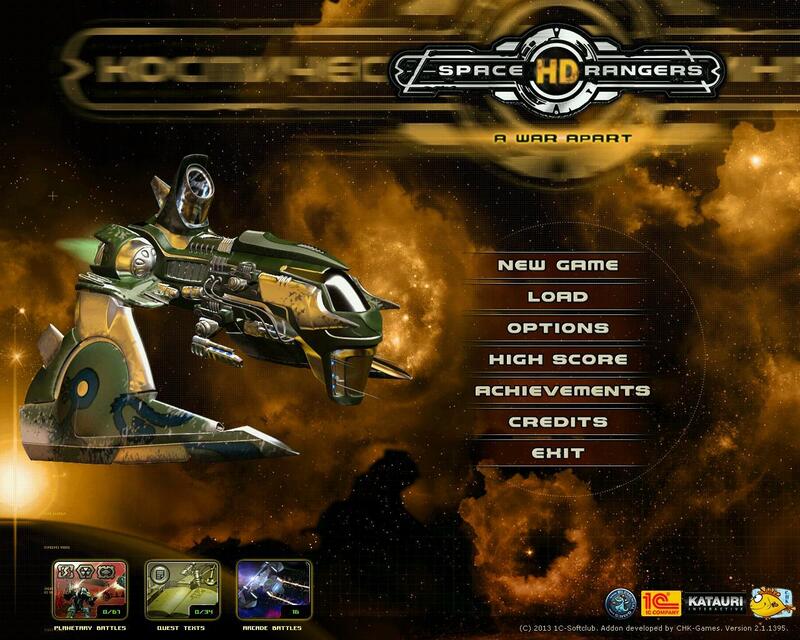 Fast Forward nearly ten years, and we have a re-release of the sequel called Space Rangers HD: A War Apart. This new version brings several new features to the table, and this review will cover those new features as well as the gameplay itself, and how well it’s held up over the last decade (or hasn’t). Let’s start with the basics for those new to the series. Space Rangers HD (and basically all of the SR games before it) is basically a space-based role playing game with four styles of gameplay under one roof, as it were. The bulk of the game is the space combat/trading/mission running portion of the game, wherein you will move your character and their ship to different planets and bases, buying and selling cargo, engaging in missions and basically getting into all kinds of trouble. 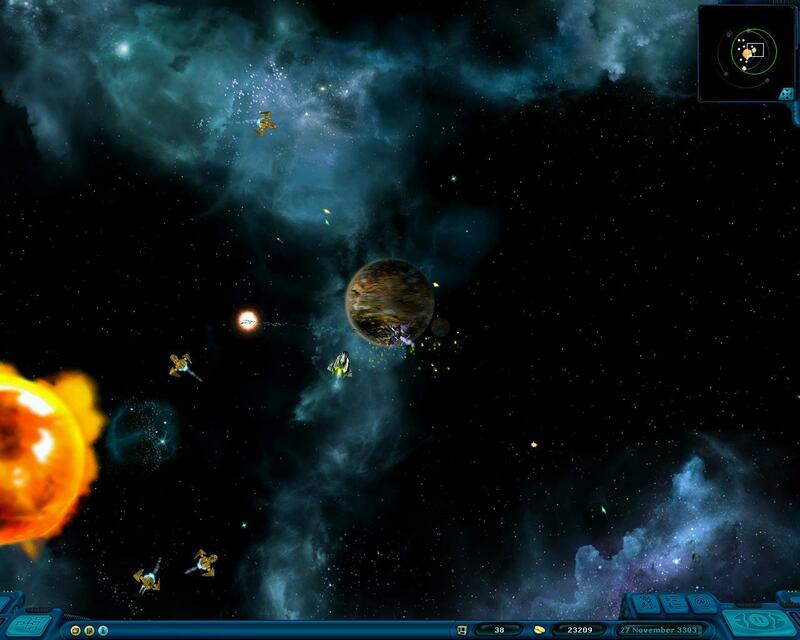 The game also has a a real-time strategy portion with robots, text adventures and arcade shootery bits if your ship happens to fall down a black hole. Fortunately, much of these other bits are optional (I say much because I took a mission that ended up being a text-based adventure without being aware of it), so if you want to focus mostly on space-based stuff, you can do that. The center of the game is your character. 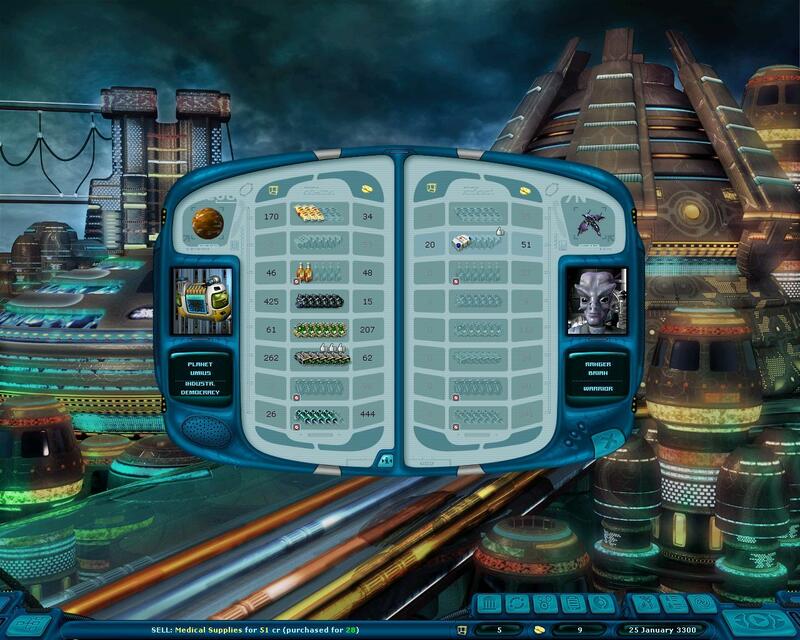 The game offers five different races and five types of careers upon which to start. This gives players a wide variety of choice on how to begin their game. If, for example, I chose to be a Maloq Mercenary, I might have a great ship but two of the other races might hate me, which causes its own problems. This was one of the first characters I chose, actually, because in games like this I like to focus on running missions more than anything else. Regardless, you can choose to be a merchant, a pirate, a mercenary and so on, and the different races give you reputation bonuses with your own race as well. When creating a character, you can also choose some extra pieces of starting equipment (one of which should always be a missile launcher). ;) Once you’ve chosen your character, it’s time to enter the universe!! 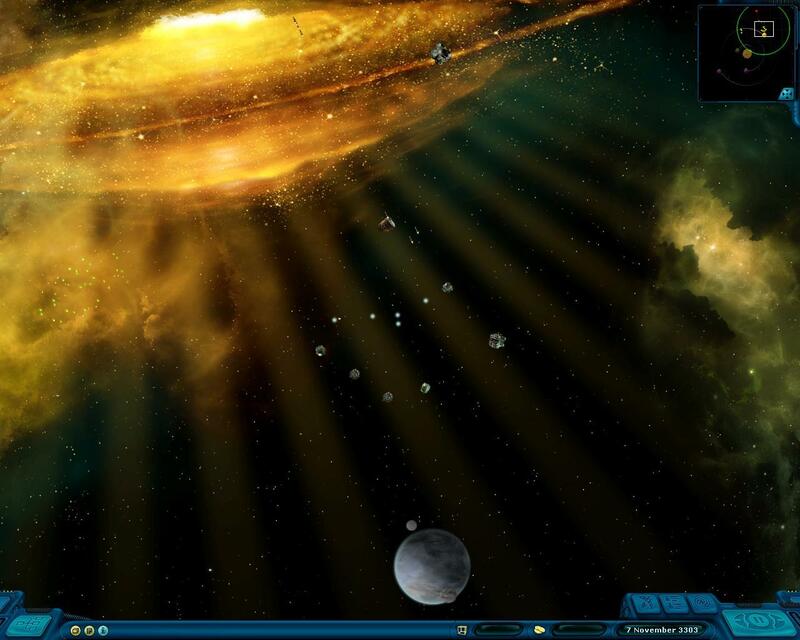 Whenever you start a new game, a new galaxy and all of its inhabitants are randomly generated, meaning you’ll start in a different little corner each time. While all of the races know the layout of other sectors — and gleefully sell you starmaps of them for a profit — you start the game with very little knowledge of your surrounding area. From here, what you do is entirely up to you. Oh sure, you might’ve created a character to be a warrior, but you don’t have to rush into battle if you don’t want to. One of the beauties of this game is that, as a Ranger, you can basically do whatever the heck you want to do, but you’ll have consequences of your actions, good and bad. Once you find a character that fits your play style, however, the game clicks much more quickly than it might otherwise. I went through several iterations of character, including a Fei warrior and a Maloq mercenary, before settling in on the character that just completely fit my playstyle, a Fei merchant. This meant that, sure, I couldn’t take on Dominators right away, but I didn’t want to anyway because OMG THEY SCARY AND BLOW ME UP REAL GOOD REAL QUICK. This also gave me a ship with a big enough cargo hold to encourage trading, to which I grabbed onto tightly and still haven’t let go. Low Prices Mean Thumbs Up! If you’re new to the game, let me explain how a typical session can go (experienced players can skip this bit). Let’s say you get a government mission from planet A. 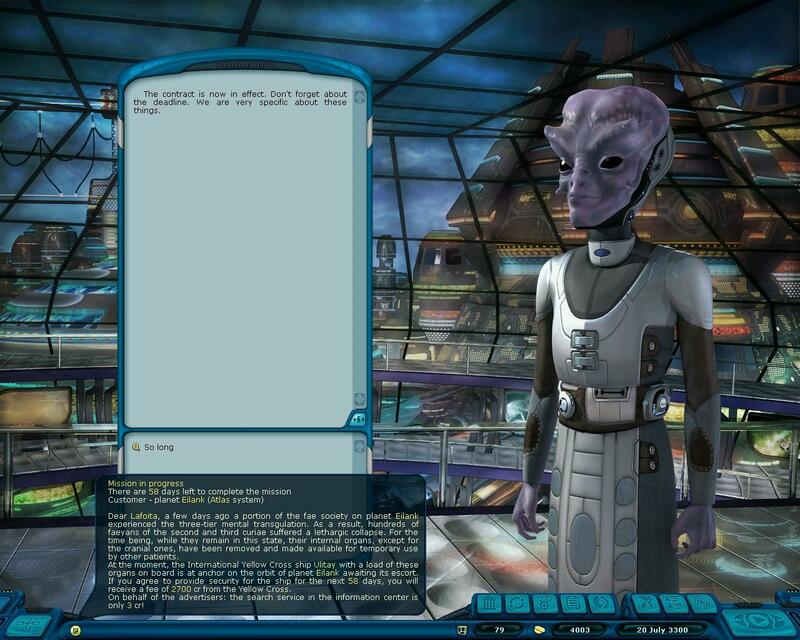 Said mission is to go find a person who apparently ruined the planet’s power grid, and teach them a lesson. You use the AMAZING search functionality (it can find anything, seriously, commodities, other ships, you name it) to zero in on your prey and find he’s several systems away. Once you arrive in said system, you land on a planet, then find out he’s on ANOTHER planet in the system, so you head there to find him arrested. Missions have a time limit, and you can’t wait around for him to get out, so you pay to have him released. Once he takes off, you follow him for a day or two then immediately open fire. If you do enough damage, he’ll contact you and offer to pay you a paltry fee to leave you alone, but you refuse, shooting and shooting until he’s good and dead. Then you land, fuel up, repair, then look at the prices on the planet the mission originated from (to which you have go to in order to get your sum. You see that luxuries are being bought for a higher price than they’re being sold on your current planet, so you load up all your free space with them (or whatever you can afford, of course), then head back to the original planet, complete your mission and sell your cargo. That’s just one way it could go down, too. 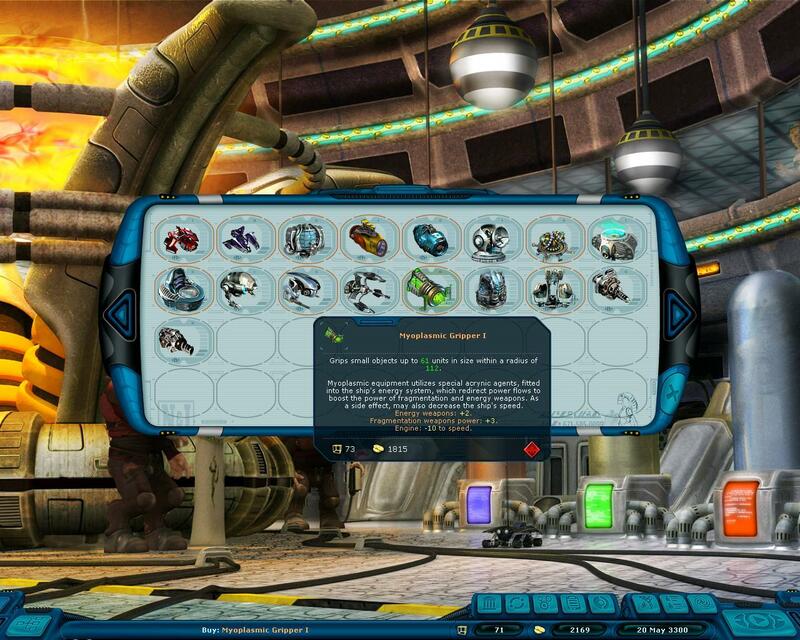 Now if you’re an experienced player of Space Rangers 2, you’ll be wondering what’s different this time around. I have to admit, it’s been aaaaaaaages since I played SR2, and even then most of my games were basically starting games in which I’d try out a character for a little while, so my knowledge of the original game is honestly a bit fuzzy. That said, there were several things I noticed right away that were new this time out, the first being the graphics. Now, the last game had a max resolution of 800×600, which even in 2004 was just toooootally crazy, but it worked I suppose. The new game supports resolutions up to 1920×1200. You might be wondering why all my screenshots are 1280×1024 then. ;) That’s because I have an old 4:3 monitor, but I plan to upgrade to a new one soon. ;) That said, even in my “limited” resolution, the graphics are much crisper than they were previously, and everything has a sharpness and color that makes the game even more eye-popping than before. Even the much-maligned RTS minigame — which apparently most folks don’t like, but thankfully can be completely skipped — looks a lot sharper. 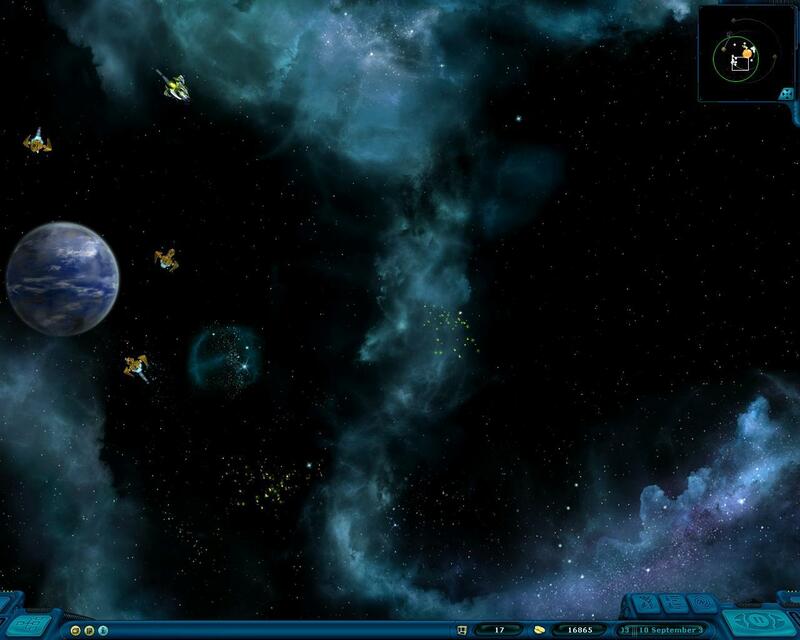 The game also supports multi-core processors, which means even with a ton of ships on screen, the game never slows down as it did with the previous game on my last system. As for in-game changes, there are apparently more text adventures and such, but I’ve only seen a few so I can’t tell if they were new. Also, I’m not sure if this was in Reboot — the expansion that came out in 2007 — but I also noticed that there was now special equipment that had extra stats such as +10 to speed or -1 to scanning range in exchange for more range or power. This was pretty dang cool, and I’m still having a blast outfitting my ship. The biiiiiiiiiig change, however, is the improvement to piracy in the game. Whereas before, if I’m remembering correctly, pirates were something of an unorganized menace that would bother you piecemeal based on your reputation with individual pirates rather than with pirate factions. Now, however, the pirates are getting organized, and can attack and conquer entire systems, which usually plunges the system into anarchy (which can have an awesome or awful effect on commodity prices ;). Whereas before I’d recall seeing a lone pirate or too bothering a transport or contacting me to say “this is a robbery”, basically. Now, however, upon entering a besieged system, you can see whole swarms of pirates attacking system traffic, which is fairly frightening no matter which side of the conflict you fall upon. I’m Diseased! Diseased I Tell You! New Ship! So Pretty and Fast! A question that might be either relevant or not; is the original English translation still terrible as always? I didn’t notice any real problems with it. Another question for you Brian, the way I understand it Space Rangers HD includes Space Ranger 2: Dominators + Space Ranger 2: Reboot with redone HD textures and such, but does it also include the officially unreleased English version Space Rangers 2: Revolution? 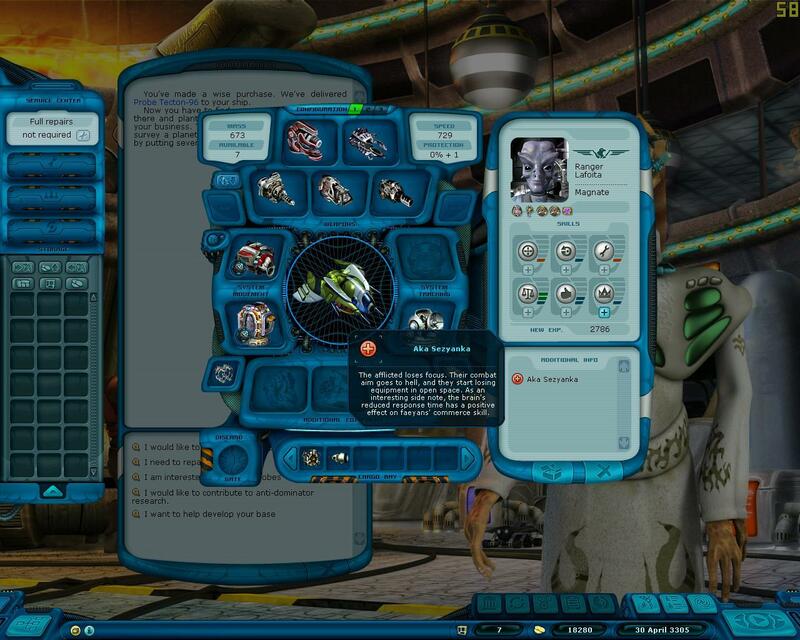 Wiki notes, “Space rangers 2: Revolution an informal Non-commercial addition (addon) to game Space Rangers 2: Reboot” and while there is a beta of the English version for free on their forums, I never got around to trying to follow their complicated instructions to get it working for my US version. Hi there Jeffer, and thanks for the heads up! Hey, I’m sorry, I thought those were new features in HD since I wasn’t even aware Revolution existed. Would these features be new to non-Russian audiences? Ah, okay, well I’ve added a note to the review to reflect this. Thanks for helping clarify! I am still playing “Reboot” with a HD patch. I will still buy this version, to create a Human Pirate. 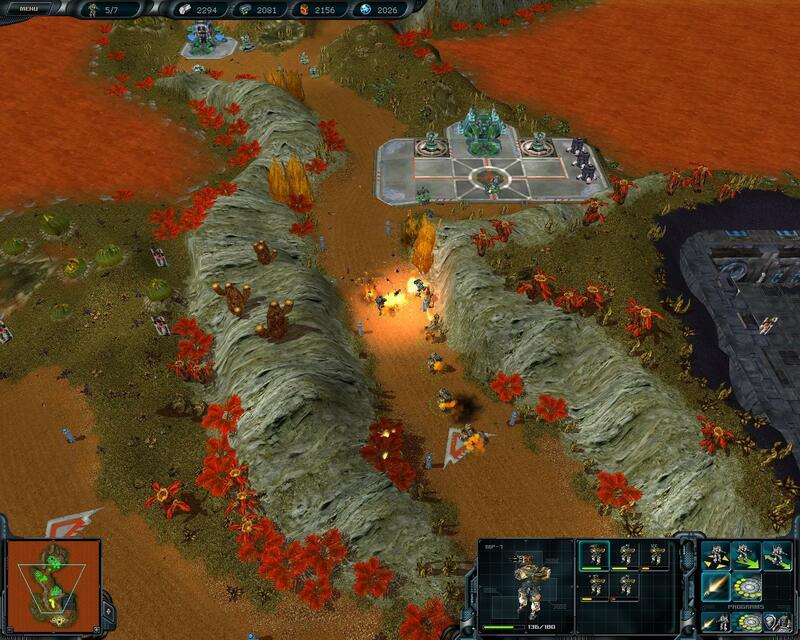 The RTS minigames are horrible (some of them are totally unfair), but award a lot of XP. 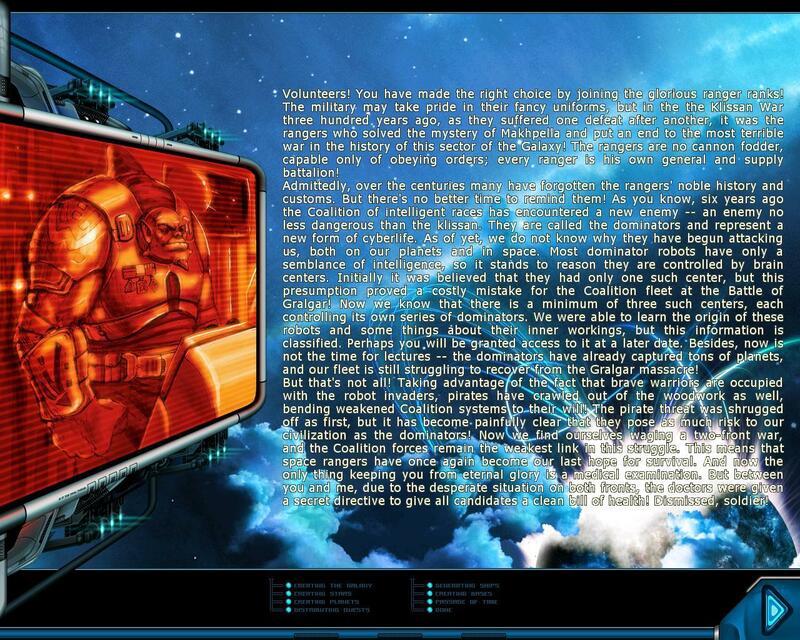 I really liked the text adventures, although it can take an awful lot of time (and a lot of retries) to beat them. Most of them where puzzles from mathematics or even chemistry.